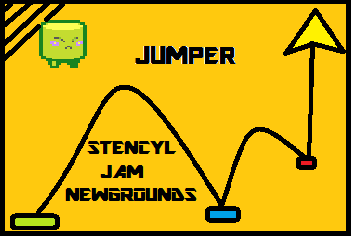 TRY TO JUMP AS HIGH AS YOU CAN!!!!! i really really really like it!!! COOL!! on the second level the music starts again when you die but does not stop so the track doubles up and plays over itself. That should be pretty easy to fix though. I like this game it is really smooth. I don't feel like I should have to scroll up on the screen to see the rest of the game. Like Rick3137 said, your playing area can be as large as you want, but make your camera follow the actor so that your game isn't 2 feet tall when we load it! Cool. You need to make the camera follow the actor.